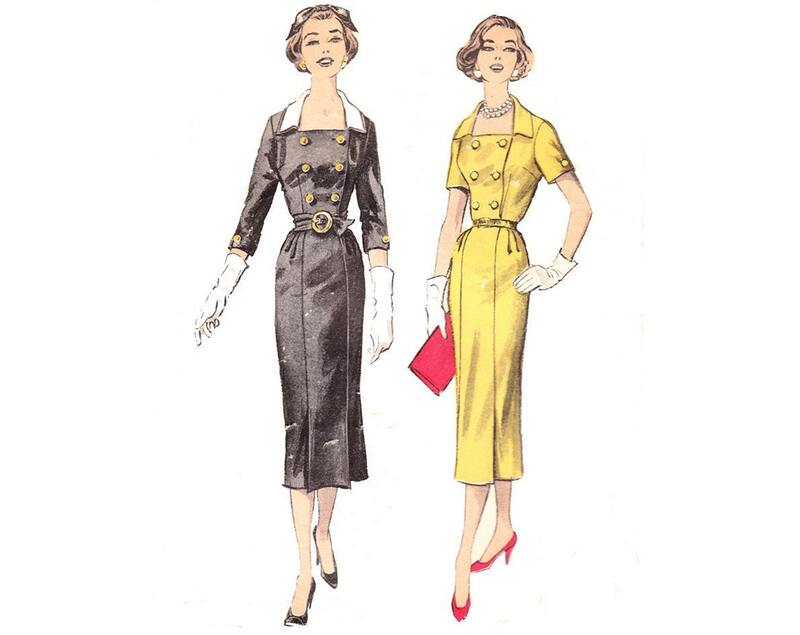 50s dress pattern with full or slim skirt options. Available from TheVintageDesignShop. 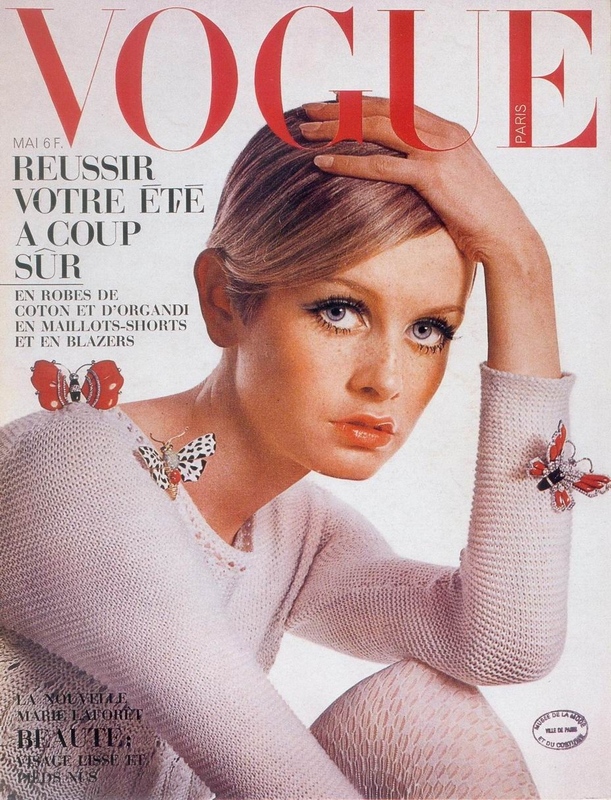 I simply love vintage patterns. 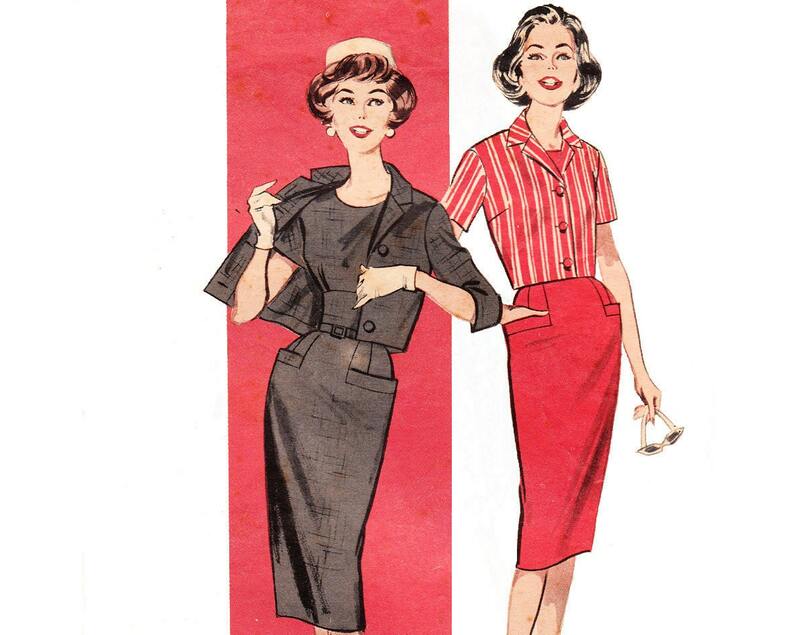 I especially love the vintage fashion illustration of 50s dress fashions. 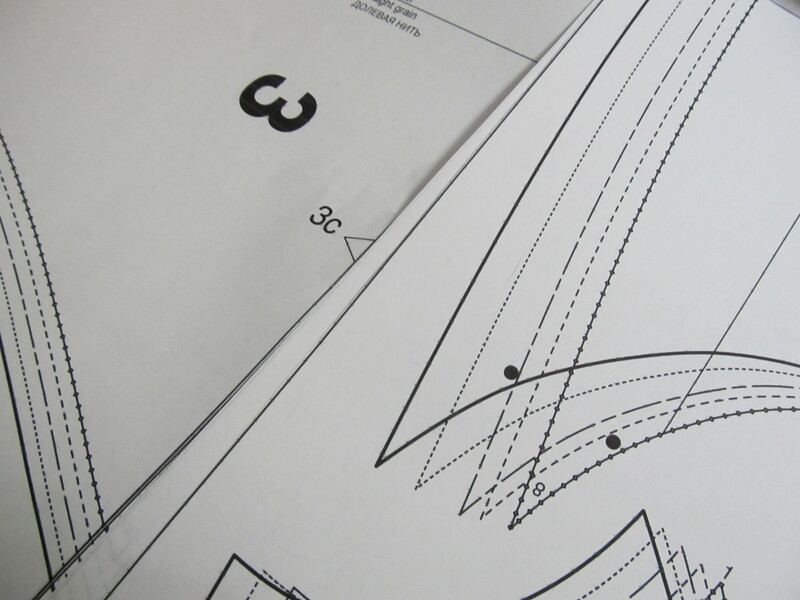 I’m going to share a few patterns for you to consider trying out! I have some really great patterns in the shop – on sale too I might add. And I’ll also a couple modern patterns to consider below. I still need to finish my spring jacket (so close!) so I’m cut off from any new projects for the time being. 50s vintage princess dress pattern. Available from TheVintageDesignShop. 50s sheath dress pattern. Available from TheVintageDesignShop. 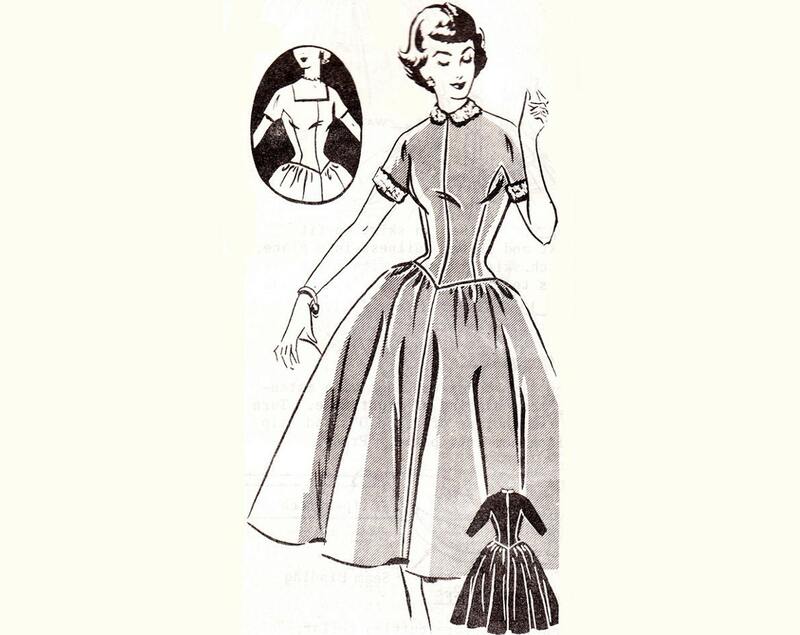 50s princess dress pattern. Available from TheVintageDesignShop. 50s dress or separates pattern. Available from TheVintageDesignShop. 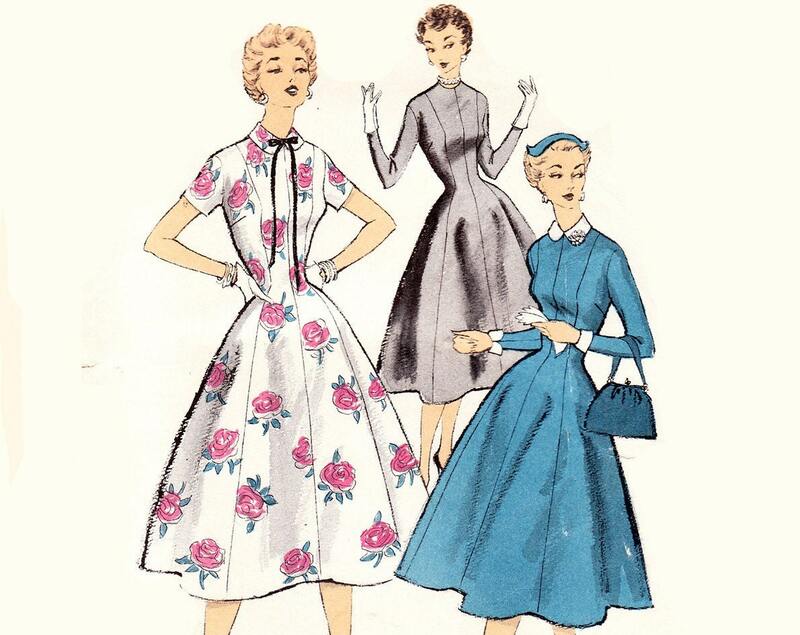 Lovely 50s full skirted dress pattern. Available from Vogue Patterns. Vogue evening gown. Available from Vogue Patterns. The Victorians had it going on in fashion and science – and the Steampunk trend is a nod to their prowess. The peak of the Victorian times is debatedly the Crystal Palace Great Exhibition back in 1851 in London, England displaying the most cutting edge innovations in science and technology arising from the Industrial Revoloution. The Victorians were true innovators in science in their day. Did you know that I’m a scientist too? And I also have a love of Victorians and Steampunk. The Steampunk movement pays homage to the Victorian love of mechanical workings, Victorian fashion, and a twist of future-inspired fantasy. The original Crystal Palace in Hyde Park, London. 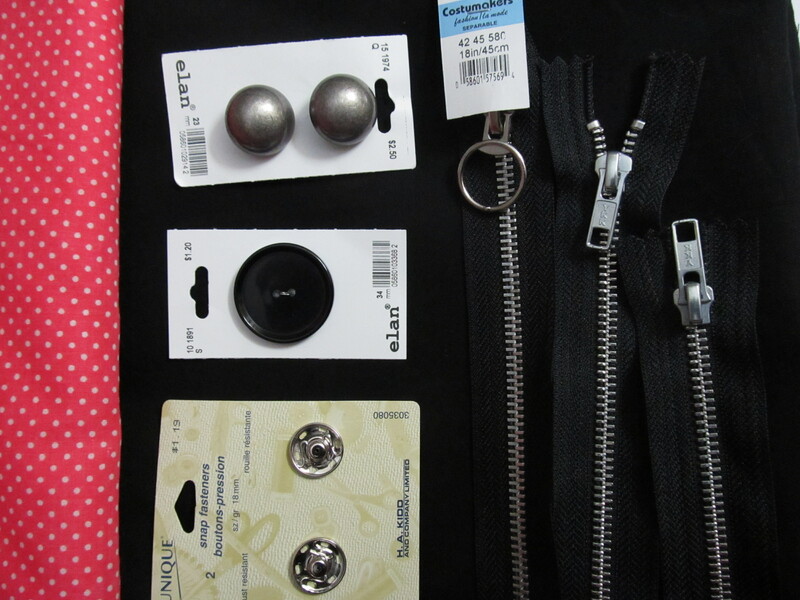 As you’re probably starting to realize by now, I have an eclectic fashion sense. I admire the Steampunk movement for its rock and roll approach to interpreting what Victorian fashion would look like in the future. Steampunk fashion is nothing if not playful and also tinged with romance, something which I confess to being a bit of a sucker for. Steampunk dress available from melaniegail. Steampunk dress available from KMKdesignsllc. Let’s not forget the Steampunk men’s apparel either! 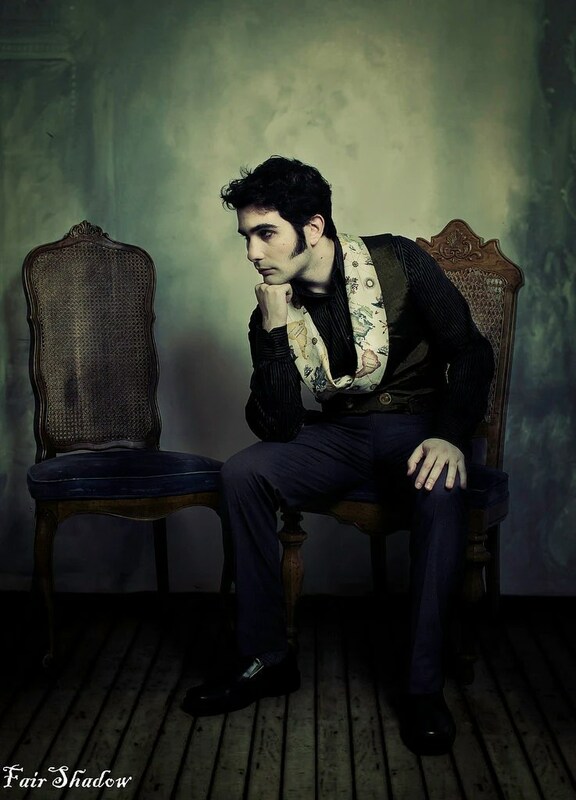 Steampunk men’s vest by KMKdesignsllc. Steampunk tuxedo available from MacheteNSons. 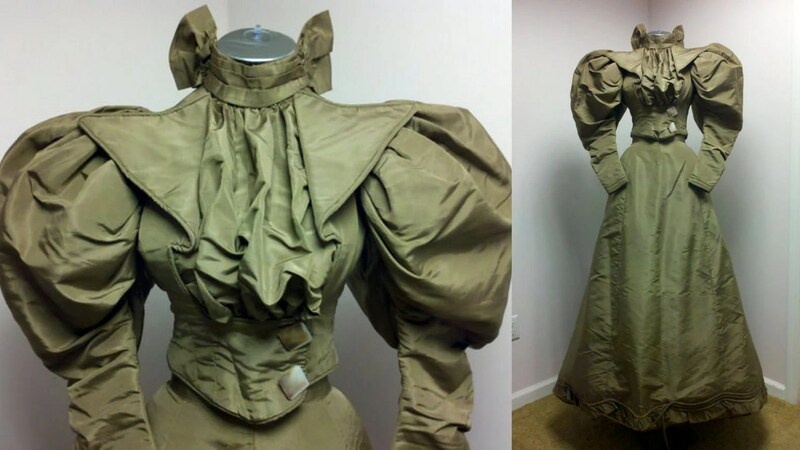 Genuine Victorian clothes are difficult to come by these days, although not impossible if you keep a keen eye on the internets. Here’s a couple of beautiful things for you to consider. 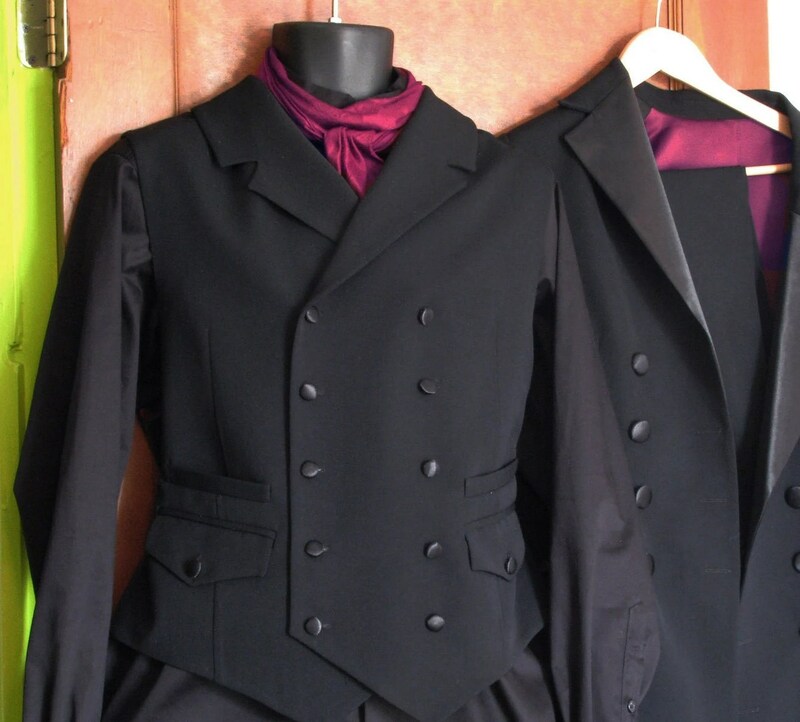 Gorgeous Victorian jacket from dakotasvintage. 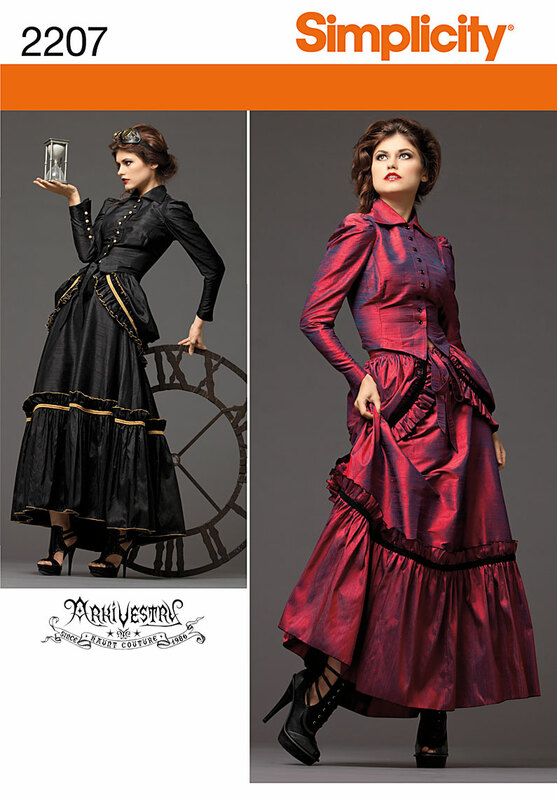 Victorian walking dress from PomPomClothing. 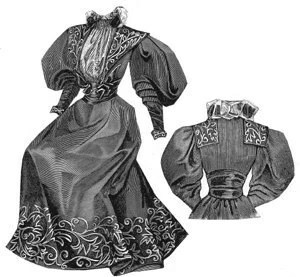 Elegant Victorian Dress from stairwaytovintage. Misses Steampunk dress, Simplicity 2207. 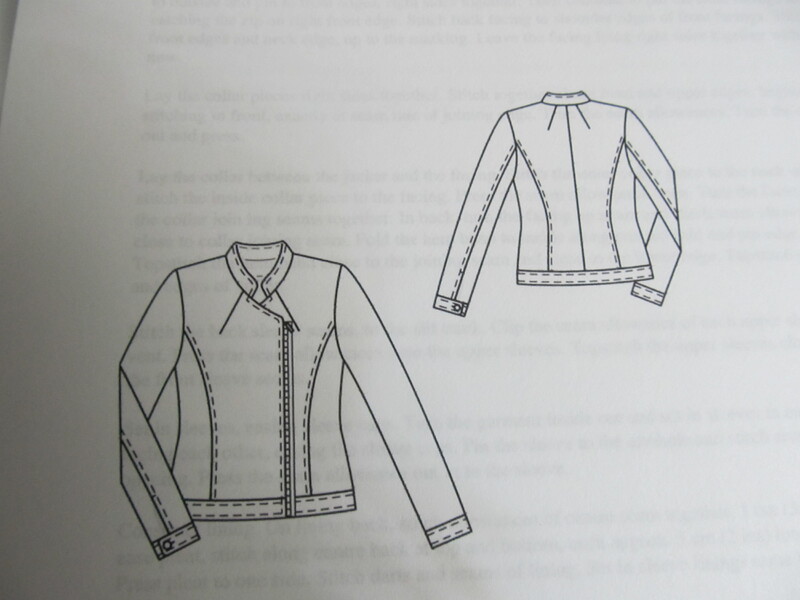 Victorian 1896 Jacket Pattern available from 1aokgal. 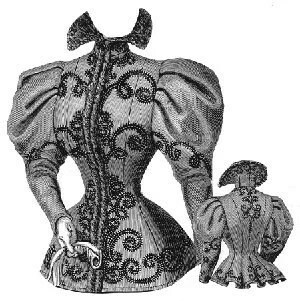 1896 Victorian Dress Pattern from a1okgal. 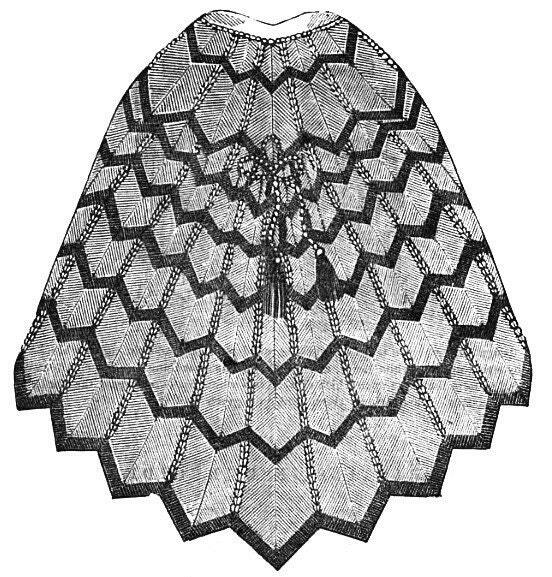 Or if you’re a knitter, you can always put your needles toward making your own Victorian cape based on an 1850s knitting pattern. Victorian knitted cape, pattern available from knittydebbie.